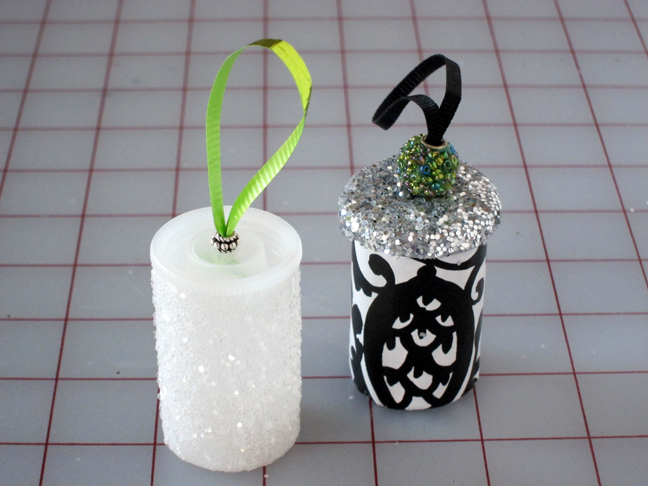 These cute little fit gift box ornaments are made from film canisters. They are not as easy to find as they used to be with the use of digital cameras, but you may have one in your junk drawer. If you don’t, ask at your local photo processing place. I did, and they gave me a big bag full of them for free. They come in all white or black and grey. I will show you how to decorate both. 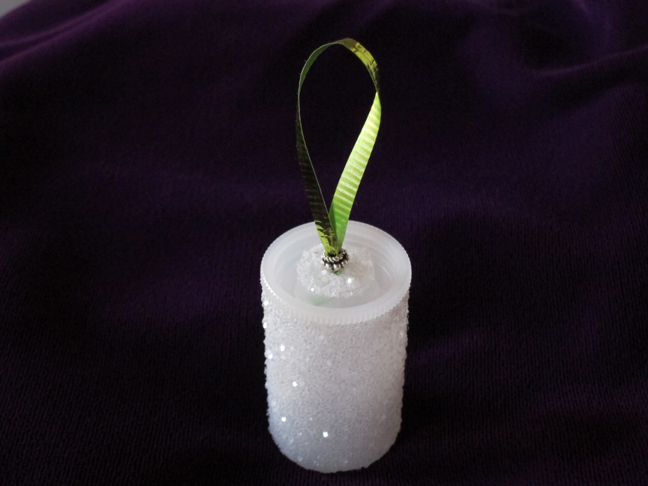 These gift box ornaments not only make a great ornament/keepsake to hang from your tree each year, but you can make the event of giving the gift a little bit like a treasure hunt – where the recipient has to search the tree for their gift. 1. 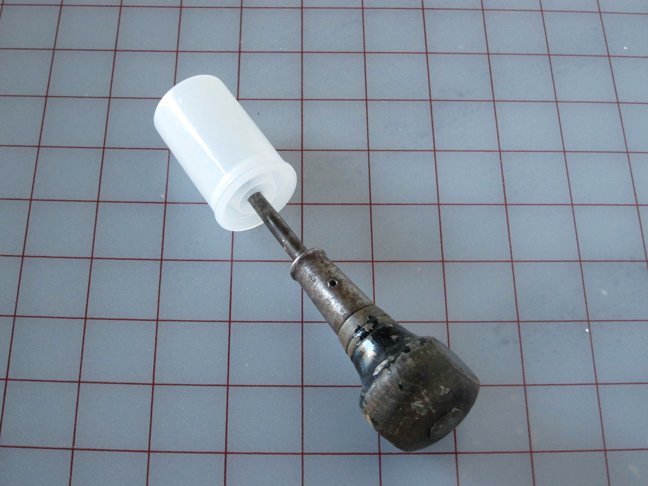 Make a hole in the top of the canister with an awl or pointy object. 2. 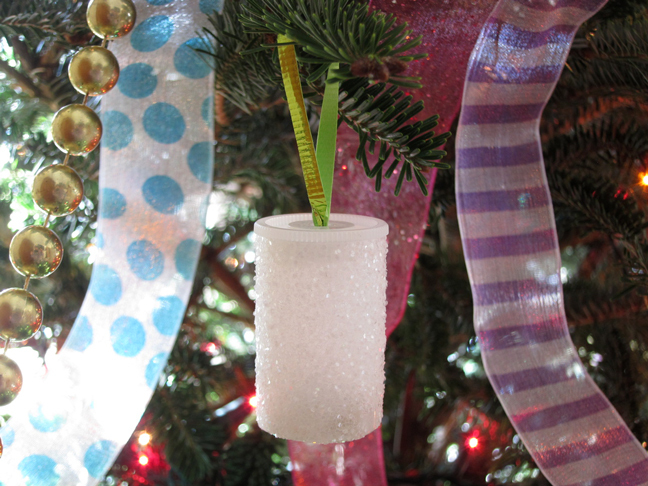 Make a loop with a 6-7 inch piece of ribbon. Put the ends through the hole and tie in a knot. Pull loop up to secure. 3. 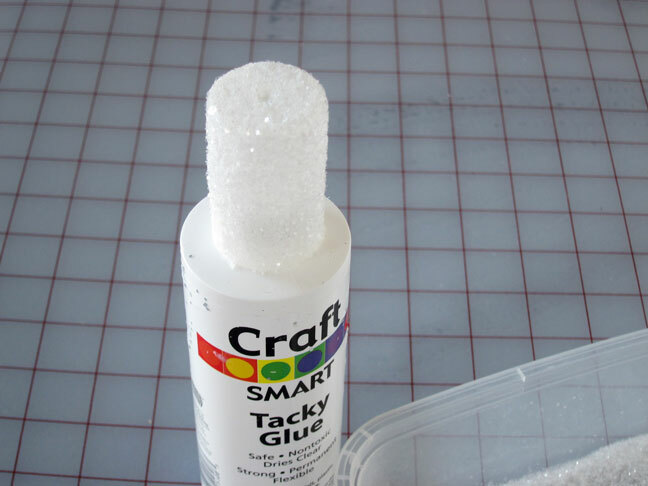 Use a paint brush to cover the bottom of the canister with an even coat of glue. 4. 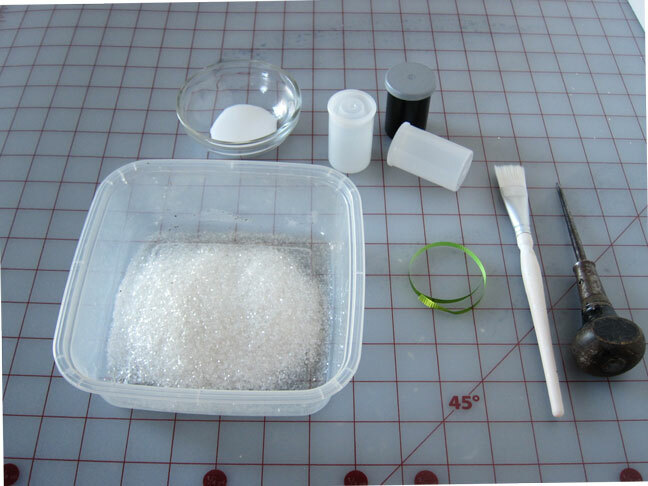 Roll it in glitter or use your fingers to sprinkle the glitter over the canister. 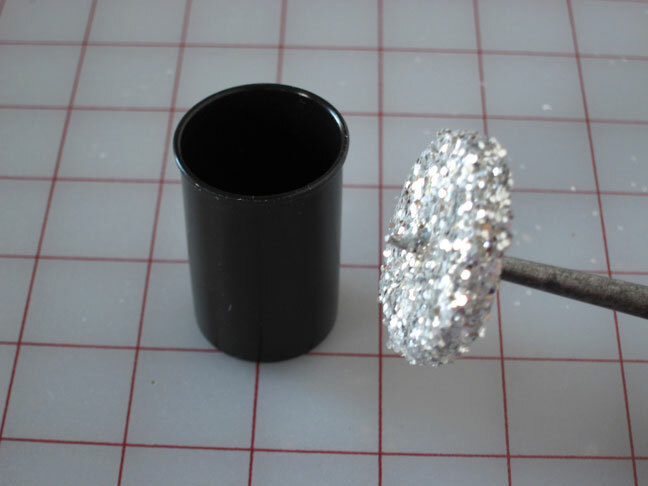 Shake off to make sure the canister is covered in glitter, if not add a bit more glue and glitter again. 5. 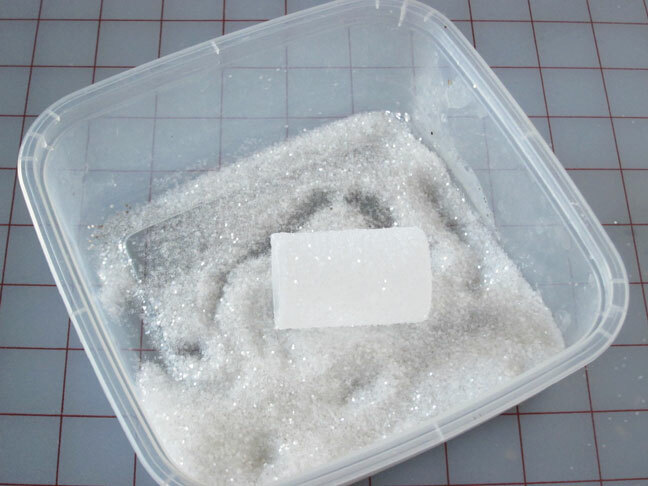 Place upside down on a bottle to dry. Place top on. 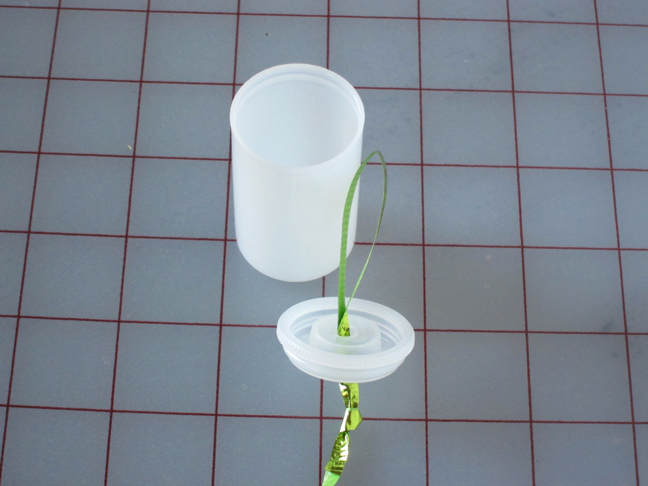 Optional: Add a bead to the loop before putting the ribbon through the hole and securing. 1. 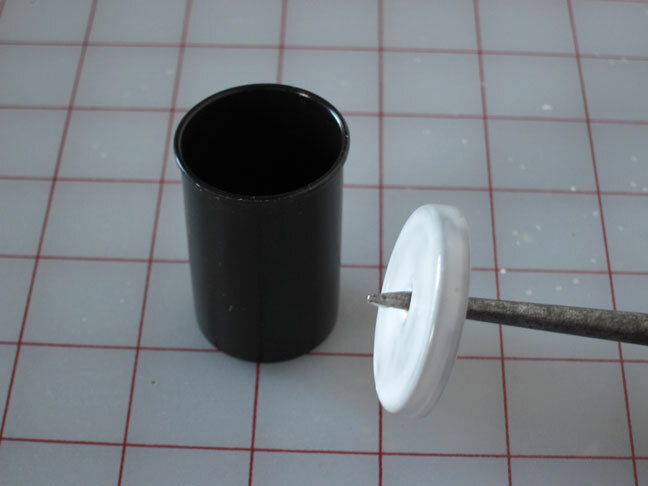 Make a hole in the center of the top. 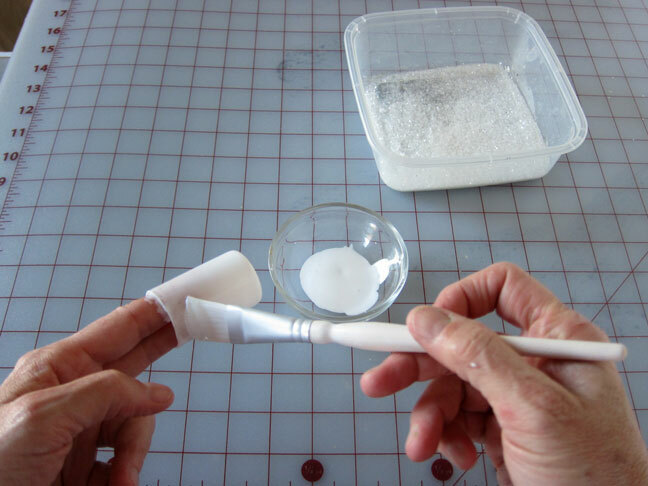 Keep on the awl and cover with glue. Hang on the tree. 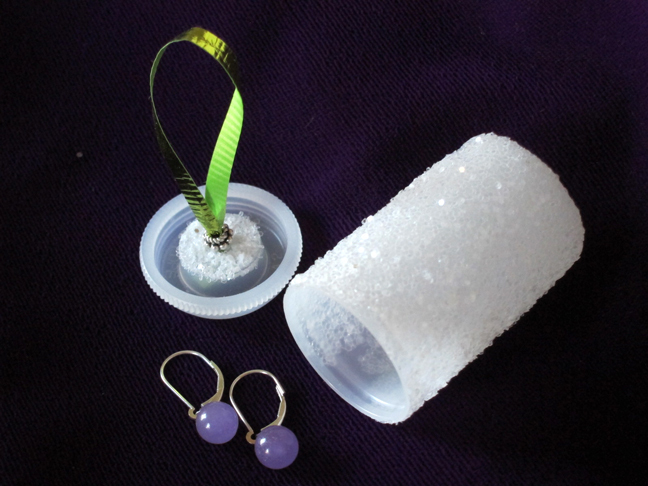 Photo shows the gift box canister with a plain top – no bead. Diane is the author of Instant Decorating, a book that was based on creative tips and tricks that she learned when she worked as retail display designer. She uses those skills and her expertise to help homeowners decorate their homes in their own style without breaking the bank. When she is not busy creating DIY decorating and crafts projects for her blog, In My Own Style, you can find Diane out thrifting for treasure or on her Pilates Reformer. On the weekends, Diane will be on the bike trail with her husband or wishing she was sitting on a sunny beach reading a good book. She has appeared on Lifetime Television many times demonstrating projects from her book and her work has been featured in national decorating publications. 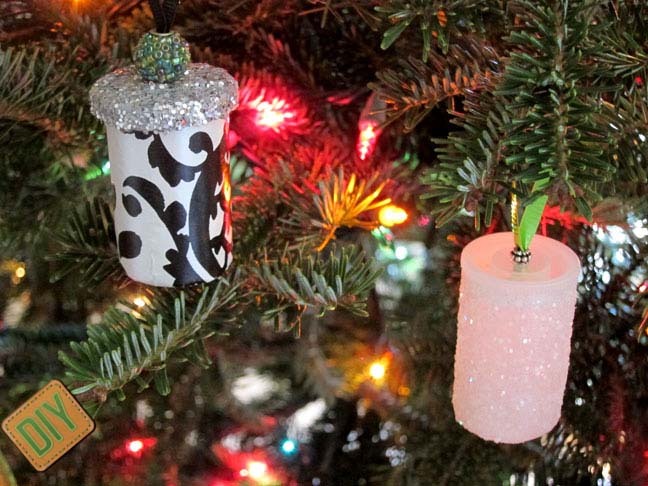 The best two DIY projects Diane has ever made are her two grown daughters who she lovingly refers to as # 1 & # 2.